Nikolai Popov was born in Leningrad in 1975 (St. Petersburg). 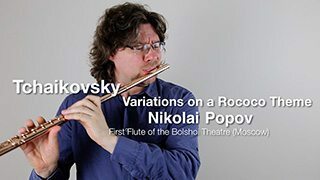 His musical education began in a music school (class by I. Pimenova), he then went on to study at the Musorgsky College of music (class E. Matveev) and later obtained a Degree at the Rimsky-Korsakov Conservatory (class O. Сhernyadyeva) in 1999. 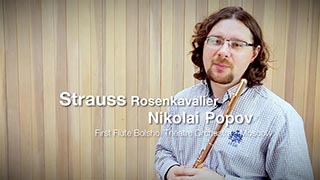 In 1996 the legendary Swiss flute player, prof. Aurele Nicolet invited him to study chamber music at the European Mozart Academy in Mala Wies, Poland. Later he obtained a Masters degree with prof. Andras Adorjan at the High School of Music and Theatre in Munich, Germany. 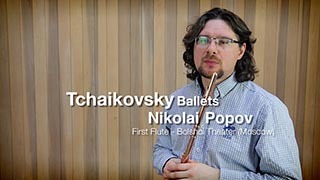 Winner of the 1st prize of the TWIYCA competition in the UK (1998), as well as winner of many others prizes at National and International Competition in Russia, Italy, Japan and other countries. 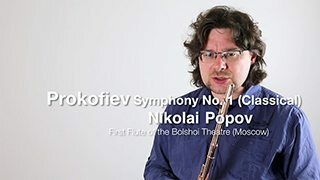 In 2000, Nikolai Popov was first Russian woodwind player, who won the audition to the Gustav Mahler Youth Orchestra (chief conductor—Claudio Abbado) and participated in the «Millenium-Turne» Orchestra with the French composer and conductor Pierre Boulez. At age 18 he won the soloist seat with State Concert Organisation “Petersburg-Concert” which he held until 2002. 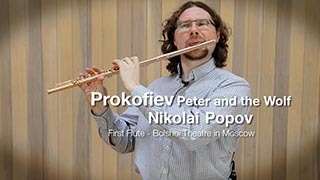 Then he went on to the Tchaikovsky Symphony Orchestra under the baton of the world-famous conductor Vladimir Fedoseev. Since 2012, he is the soloist of the Bolshoi Theatre Orchestra. 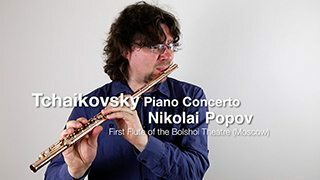 As a soloist, Nikolai Popov performed with the Tchaikovsky Symphony Orchestra, the St. Petersburg Philharmonic, the chamber orchestra “Virtuosos of Moscow” and many other music groups under conductors such as V. Fedoseev, V. Spivakov, F. Mastrangelo, A. Sladkovsky, etc. In addition to classical music ventures, he participates in different styles of musical projects, plays Saxophone, creates and arranges for various music groups. He made recordings for broadcast and TV and has several solo recital CDs. Also he an active teacher and gives masterclasses throughout Russia and abroad.